Click on the image to the left to download a copy of the brochure. 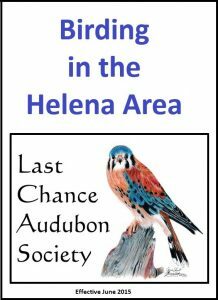 The brochure includes a comprehensive list of birds found in the Helena area as well as a list of local “hot spots” to locate birds in the Helena Valley. Start your checklist now!